The word biscotti in Italian roughly means "twice baked." The key to making biscotti is to bake the cookies in a loaf, then slice the loaf and reheat the slices. Biscotti are traditionally a dunking cookie; so hard and dry is key. In various parts of Italy they are served with wine for this purpose. There are hundreds of recipes for biscotti, but he one I use has been in our family for generations. It was passed on to me from my father's sister; Aunt Rosie. Beat together butter and shortening. Add sugar and beat until well blended. Add eggs 1 at a time. Mix in vanilla and anise. Add flour and baking powder slowly; mixing well after each addition. Batter will be stiff. Form batter into 3 inch wide slabs on ungreased cookie sheet. (should make 4 slabs). Bake for 20 minutes or until golden brown. Cut into 1 inch bars and return to oven for 20 minutes flipping half way. I am so happy to have this biscotti recipe. Did not see it before. I've never made Biscotti, but it looks so easy. I've got to try it! Fun idea sharing your favorite posts on TBT. These look delicious. I'm ready to dunk! I've really got to try making biscotti. As far back as I can remember (3 or so) we were served biscotti by my Italian grandmother and she always gave us a small little cup of espresso to dunk it in. I can't imagine serving MY 3 year old espresso right now, but I might continue the biscotti tradition. thanks for the recipe. Love the TBT version of your biscotti. Looks yummy and crunchy. Aren't family recipes the best! I love biscotti and this looks like a delicious classic! I make my husband's late grandmother's recipe all the time. Gotta try this one! I love a good biscotti to dunk in my tea. Mmm. 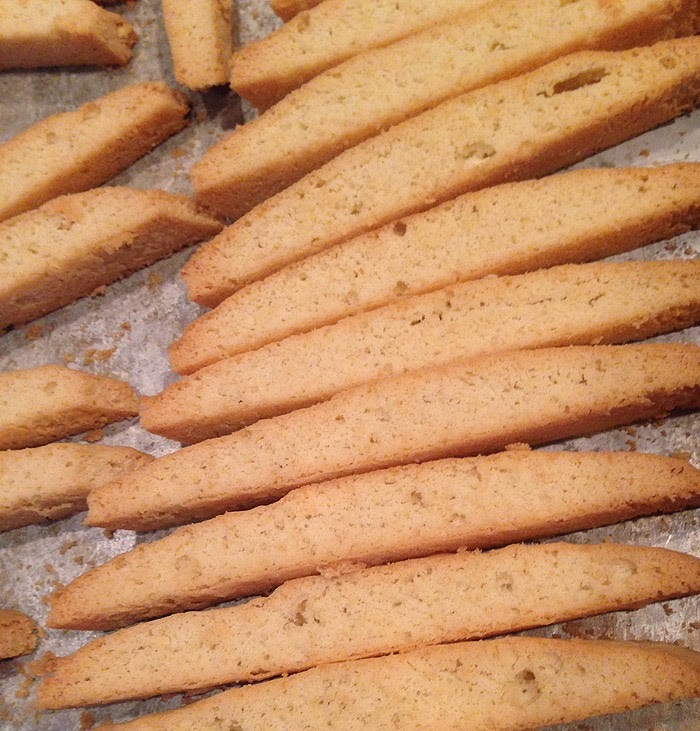 Love biscotti -- and love that this is a recipe straight from the family archives!